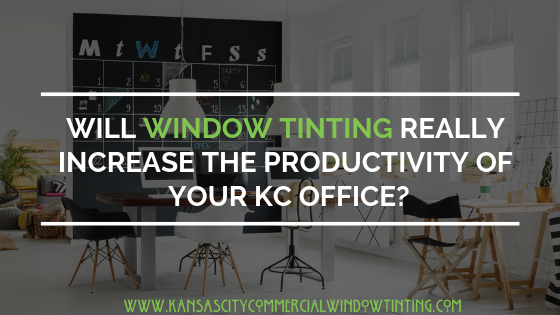 Will Window Tinting Actually Increase The Productivity Of Your Kansas City Office? The Answer Is–Yes. When you work in an office setting the phrase “time is money” really rings true. In fact, you likely have a thorough understanding of exactly what it means because you live it every day. When working in an office setting, the key to success is avoiding distractions of any type. In almost every case– more work, equals more efficiency, equals more money. Every little thing that stops you from doing the work at hand, including dealing with chatty co-workers, being too hot or too cold or having glare on your computer screen ends up costing you in the end whether you are a worker, or boss or owner. The answer to better office productivity, window tinting. If this surprises you–read on to find out why and learn how to maximize your earning potential through this amazing technology. In What Way Does Window Tinting Increase Office Productivity? In Kansas City that prairie sun can be brutal. More to the point, it means dealing with the sun’s glare on computer screens when trying to work. If you have experienced glare through windows here in Kansas City on your computer–you are, by no means, alone. Furthermore, you probably know that getting a lot of work done, when you can barely see the screen, is not possible. Work grinds to a halt with harsh glare through windows and it will also give you a headache too. Happily, this doesn’t need to be the case. Window tinting for offices curbs the glare of the overwhelming Kansas City sun and keeps computer screens to be perfectly unobstructed. Many people don’t realize that window tinting makes offices more productive not by some mysterious or complicated scientific method but simply by making them more comfortable. When you think about it–working in cold, hot, bright or dark places is harder and makes it way less appealing too. So using window tinting to regulate those extremes will categorically allow you to get more done. Window tinting means better shade, filtered light, and even temperatures, all of which are great for a comfortable office setting. For bosses– window tinting in offices is great because–it is shown to lead to less tardiness and sick days too. The open office trend is very much the trend right now and there are definitely for good reasons for it. Fewer walls encourage teamwork, make communication easier and allows for increased creativity. However, not having any privacy gets old fasting and can be very frustrating for employees–not to mention distracting. 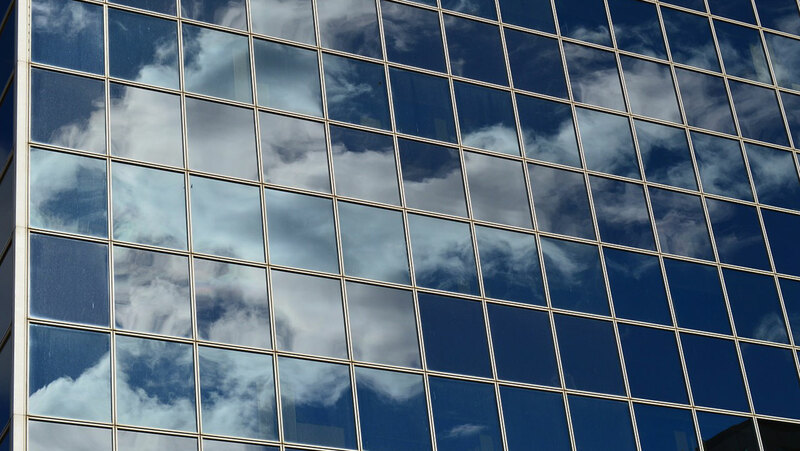 This is where offices window film works in some of the best ways. Putting decorative window film on strategic glass walls, conference rooms and even providing glass cubicles with partial window film, make open offices more productive and workers happier. Performance goes up–plus you still get all the benefits of a semi-open office space too. Also, it comes in a ton of patterns, colors, and designs, so it is a really fun and modern addition to any office space. 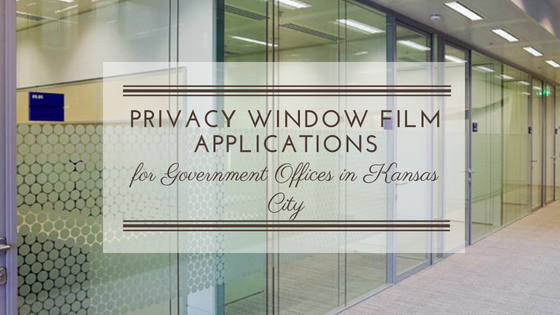 In Kansas City offices, you get just the right amount of privacy and all the style when you use decorative window tinting. Plus, all around better, more productive workers. 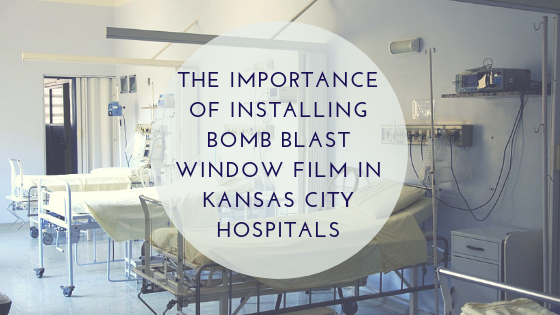 Window tinting is a strong, affordable office addition for nearly any sort of business in Kansas City. 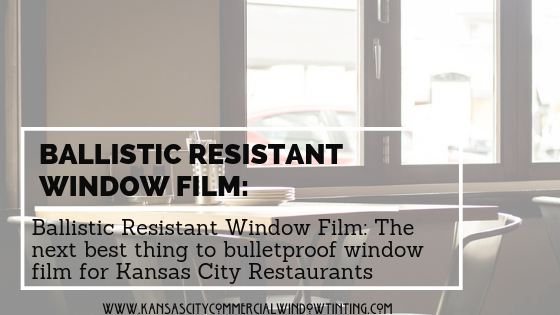 To learn more about window tinting for privacy, sun control, decoration and more–contact us a Kansas City Commercial Window Tinting for information and pricing today!